Salman Rushdie is widely considered one of a handful of truly great living writers. The internationally acclaimed, Booker Prize-winning author's storytelling shines in this epic love story, a modern retelling of the myth of Orpheus. 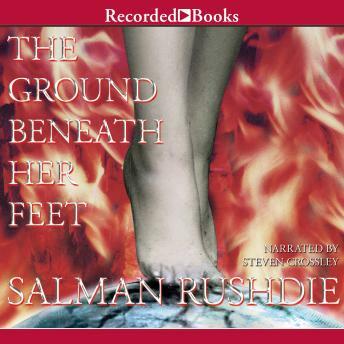 Energetic and musical, Rushdie's prose is positively mesmerizing when you hear it read aloud. This panoramic work is framed with the death of rock goddess Vina Aspara. The story of her life and love affair with musical prodigy Ormus Cama is told by Rai, a photographer who also loved Vina. Rai worships the ground beneath her feet, even as he ponders the loss of terra firma in modern culture. Narrator Steven Crossley gives Rai's voice just the right blend of amusement, insolence, and devotion. With his light British accent and perfect pacing, Crossley glides you non-stop through the novel's imaginative maze of ancient mythology and pop culture. His performance lets you sit back and enjoy the amazing things Rushdie does with the English language.